Please contact our office to discuss your specific requirements, our current fee structure and the funding options that may be available to you. Funding programs can be confusing and overwhelming. We are experienced providers of funded therapy so we can assist you in navigating the complex funding options. A plan from your GP which provides funding towards up to 5 sessions of therapy per calendar year. A plan from your Paediatrician which provides funding towards a total of 4 sessions for assessment and up to 20 sessions of therapy until your child turns 13. A plan from your GP which provides funding towards up to 10 Occupational Therapy sessions per calendar year. The Helping Children with Autism (HCWA) Program is an Australian Government initiative providing support for children up to six years of age with an Autism Spectrum Disorder (ASD). The program is conducted by the Department of Social Services. B.E.ST. Autism does not charge an additional fee for claims using your child’s HCWA funding. Our fees are the same for all children. Eligible children can receive up to $12,000 over two years to fund therapy and resources. Please feel free to contact us to discuss your child’s eligibility and funding options. Bronwyn Sutton Speech Pathology was one of the first service provider’s in Queensland for the Helping Children with Autism (HCWA) Program. Speech Pathology and Occupational Therapy services can be rebated under certain private health funds. 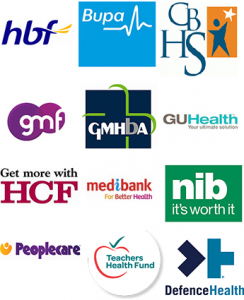 Please contact your health fund to obtain details on the rebate the maximum amount you can claim in a calendar year. Each Health Fund will provide a different rebate for assessment and therapy sessions. B.E.ST. Autism does not require prepayment for therapy sessions. Simply take your receipt to your Private Health Fund to organise your claim. The National Disability Insurance Scheme (NDIS) is an Australian Government healthcare scheme. It will provide funding to people with developmental delay or a permanent disability . B.E.ST. Autism is a registered NDIS provider. The NDIS will provide funding for assessments, therapy, therapeutic resources and other supports to improve a child’s functional capacity. There is a lot of confusion and discussion around the NDIS. B.E.ST. Autism staff regularly attend meetings and professional conferences on the NDIS. 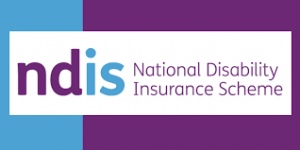 We will be there to support you to understand the NDIS and what is means for your family. Commonly asked questions relating to our fees and available funding. Please click on a question to show the information provided. Is B.E.ST. a provider under the Helping Children With Autism Package? Yes, all therapists are providers under the HWCA funding scheme. All therapy costs are covered for children who are eligible for the Federal Government’s scheme. As funding is provided in the home, appointments are invoiced after the session and you may pay by direct deposit (using your financial institutions internet banking facility) or in branch at your bank. If your child has funding under the Helping Children With Autism (HCWA) scheme, sessions are claimed by the therapist through the government portal after the session.